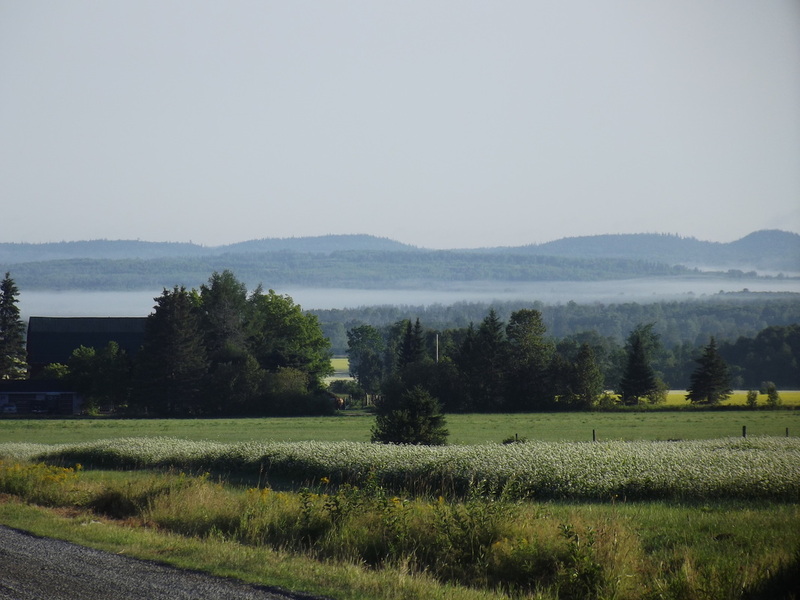 Our farm is nestled in the Little Clay Belt of the Temiskaming valley, close to New Liskeard, in Northern Ontario. The farms encompass 900 acres of very fertile soil, formed when a glacial lake deposited silt clay. It is a remarkable geographic area that lends itself to organic production. The valley has large, stone free fields, surrounded and buffeted by hundred of miles of Canadian Shield,with some of the cleanest air in the world. We have been certified organic with GuaranteeBio/ ECOCERT since 1994. But we have not used chemical sprays or commercial fertilizers since 1988 when we moved here. The climate is cool with long daylight hours in the growing season, resulting in quality crops. The farm's soil and climate is beneficial in producing the 500-600 acres of buckwheat each year. We supply other processors with large shipments with pure buckwheat with no contamination of cereals. We also have bees on our property during the growing season to pollinate the buckwheat. 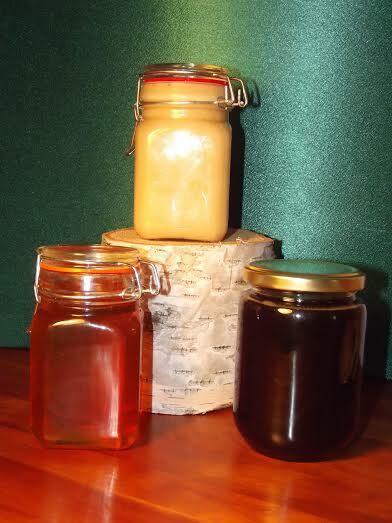 We have available buckwheat honey, year round. 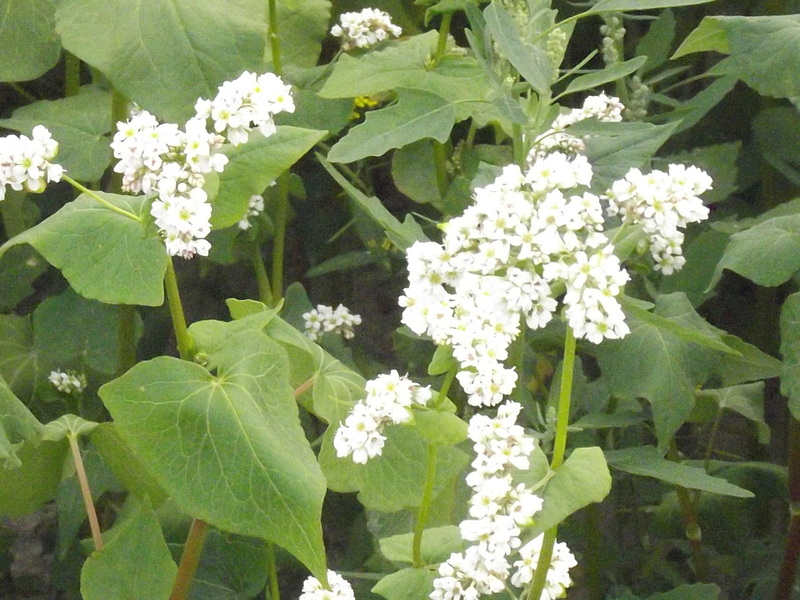 BUCKWHEAT IS NOT A WHEAT...IT BELONGS TO THE RHUBARB FAMILY AND HAS NO GLUTEN. The buckwheat grain is from an amazing broad leaf plant whose amino acid makeup makes the grain a tremendous source of protein for humans. We have stopped growing cereal grains, to protect our integrity of having pure buckwheat. This prevents any chance of cross contamination of grain with gluten, such as wheat, barley or spelt. We rotate our fields with clovers as green manure plow downs, to provide nitrogen for the buckwheat crops. So there is no volunteer cereals in the next crop of buckwheat. Also, our equipment such as the seeder, augers, storage bins and combines are now only used for buckwheat so there is no cross contamination possibility. We have added a new flour mill, in a new plant that only mills buckwheat. This ensures the product is 100% gluten free for customers demanding this requirement. These measures are absolutely necessary to have product guaranteed gluten free. It takes a tremendous effort to ensure the integrity of our product, but we realize there are consumers who need this option in their diet, and we are pleased if we can help them this way. If anyone would like to order any buckwheat flour, please use the contact page on this website, send me a note, and I can work out a postage rate using the Canada Post web site. Buckwheat honey has a strong, molasses-like flavor. Honeybees that collect and process the nectar of buckwheat flowers create a dark honey characterized by a full, robust flavor. While buckwheat honey can range in color from coppery yellow to purple or nearly black, the average jar is dark amber with a reddish tint when held to the light. Compared with lighter-colored varieties, buckwheat honey isn't as sweet and tastes similar to molasses. The basic composition and nutritional profile of all types of honey are relatively the same, but buckwheat honey has higher concentrations of macronutrients, trace elements and anti-oxidant compounds. A colony of honeybees collecting nectar from a field of flowering buckwheat can gather up to 290 pounds of nectar per acre, according to "Insect Pollination of Cultivated Crop Plants," by S.E. McGregor. After forager bees collect the nectar, which is mostly water with a small amount of sucrose, they transfer it to hive bees for processing. Hive bees biochemically transform the nectar into honey by regurgitating it multiple times, a process that reduces the water content. Simultaneously, invertase, a salivary enzyme, breaks down the sucrose in the nectar — essentially predigesting it — into its component simple sugars, glucose and fructose. The three main components of all varieties of honey are fructose, glucose and water. Honey has a small percentage of many other sugars, including sucrose, in addition to trace amounts of proteins, minerals and natural acids. Fructose is about 70 percent sweeter than sucrose, and sucrose is slightly sweeter than glucose. Light-colored honey, including wildflower and clover, has the highest ratio of fructose to glucose, making it sweeter than dark-honey varieties. Although the largest component of buckwheat honey is fructose, its glucose content is higher than that of lighter honey — the average jar of buckwheat honey is about 40 percent fructose and 30 percent glucose. Buckwheat and other dark-colored honey varieties also have less water and higher concentrations of anti-oxidants. Honey is a rich source of flavonoids and other phenolic compounds that demonstrate significant anti-oxidant activity. Daily consumption of honey has been shown to improve blood anti-oxidant levels and help prevent lipid peroxidation, or damage to lipids — such as cholesterol — by free radicals. According to “The Encyclopedia of Healing Foods,” by Michael Murray et al, lipid peroxidation is integral to the emergence and progression of atherosclerosis. Dark-colored honey has the highest concentrations of phenolic compounds. Buckwheat honey, in particular, is often cited as a rich source of anti-oxidants. According to May Berenbaum, head of the entomology department at the University of Illinois, the concentration of anti-oxidants in buckwheat honey is gram-for-gram comparable to that of tomatoes and other anti-oxidant-rich fruits and vegetables. People ask me at the Royal Agricultural Winter Fair "if this is raw?" They seem confused about the non-pasteurization term. Raw honey is in big demand for its health benefits. The Canadian Food Inspection Agency requires honey to be pasteurized if it is over 18% moisture. Honey that is pasteurized needs to be labeled "pasteurized". Raw honey, does not need to be labeled "unpasteurized", but honey producers often label it as such to let consumers know it is raw. Posch Honey is raw, unpasteurized. Bees will not cap the comb until it is below 18% moisture. They seem to know when the honey is below 18%. Once it is below 18%, honey will last indefinitely, as some has been found in the pyramids thousands of years old. The CFIA requires pasteurization of honey over 18%. This stops the higher water content from making the honey go rancid. Raw, unpasteurized honey has lower water content and is higher in quality.